Launched in 2016, the Clash Royale video game generated $1 billion in revenue in less than a year on the market and has rapidly become a firm favorite with Esports fans. Held across November/December 2018 and January 2019, the EE Mobile Series Clash Royale was a 3-stage tournament organized by ESL that brought together the world’s top players, culminating in a live final that was broadcast live from the BT Studios in London, UK, on 20th January 2019. ESL has worked with Ross Video for a number of years and ESL UK’s studio in Leicester features a wide variety of Ross solutions that support ESL’s regular league and tournament broadcasts. 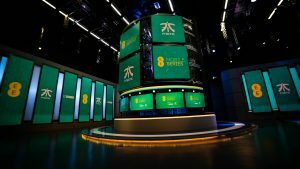 For the Clash Royale finale, however, ESL decided to join forces with BT Studios in London and create a dynamic physical set for the broadcast that was based around a large number of LED displays. 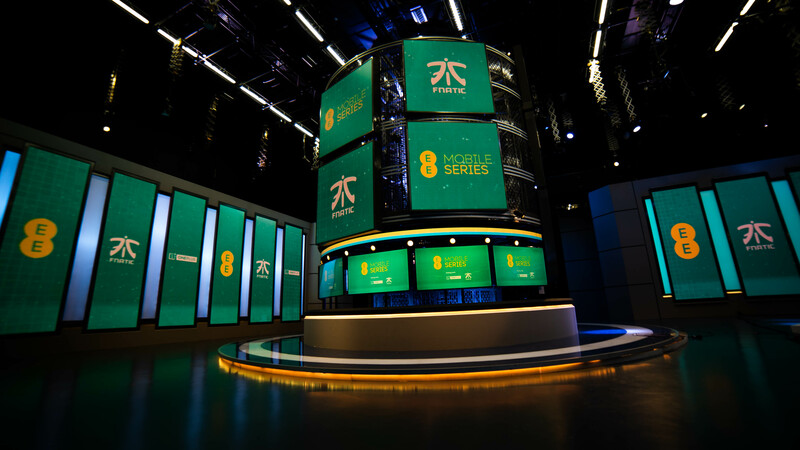 Large and/or unusually-sized LED panels and displays are increasingly becoming a feature of studio sets, and these displays help broadcast professionals to create highly engaging content featuring exciting graphics and complex animations. One of the major challenges of these LED displays, however, is how to ensure that graphics and animations are rendered across multiple screens, enabling these displays to act as a single canvass. In order to ensure that the graphics content looked correct across multiple dsiplays, ESL turned to Ross Video’s XPression Tessera SE graphics control solution – the single-engine version of XPression Tessera. XPression Tessera was originally created for the Mercedes-Benz stadium in Atlanta, Georgia – the world’s most expensive stadium project and venue for last weekend’s Super Bowl game – and drives the enormous halo screen that runs around the stadium’s retractable roof. XPression Tessera is also being used at the iconic Adelaide Oval stadium in Australia and drives displays and ribbon boards at several international venues, including The USTA Billie Jean King National Tennis Center in New York (home of the US Open tennis tournament). XPression Tessera SE brings the power and workflow advantages of Tessera into TV stations and video facilities that need to drive multiple displays on a smaller scale. “The Esports audience is content hungry and broadcasts need to keep the audience’s attention with exciting visuals and engaging graphics – XPression Tessera enables graphics professionals to stitch together multiple displays in a venue and use that canvas to really wow the viewer with creative content,” comments Patrick Twomey, director of marketing product management & business development for XPression Graphics. “ESL is one of the world’s leading Esports brands but we’re in a highly competitive market for eyeballs,” says James Dean, CEO, ESL UK. “Tools like XPression Tessera help our broadcasts to really stand out and give us a creative edge as we try to excite our audience and keep them entertained”.